Up from the depths of the dubplate archives rises the leviathan known as VERSION. A nameless, faceless beast: the spawn of primeval dub, traditional reggae motifs, and modern jungle. The quintissential modern definition of the word Riddim as brought home on the many journeys of the HMS Chopstick, as viewed through the looking glass of Captain Jack Murda, 1st Mate King Yoof, Aries the Priest and the sword-wielding man at arms, Tuffist. 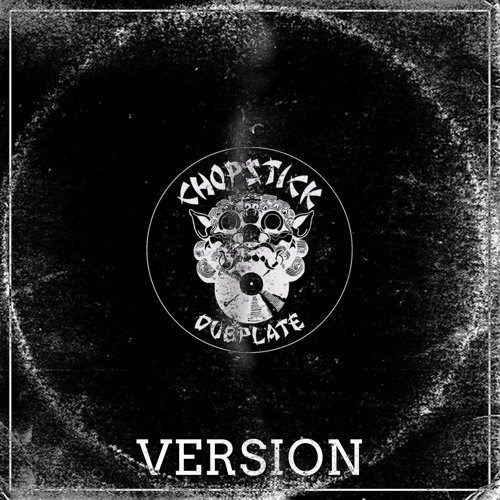 An unusual departure from the vocal driven sound that Chopstick Dubplate is known for across the seven seas, VERSION features rum-packed instrumentals that are suitable for consumption by pirate djs, renegade mc’s, and dubplate producers from Port Royal to London.